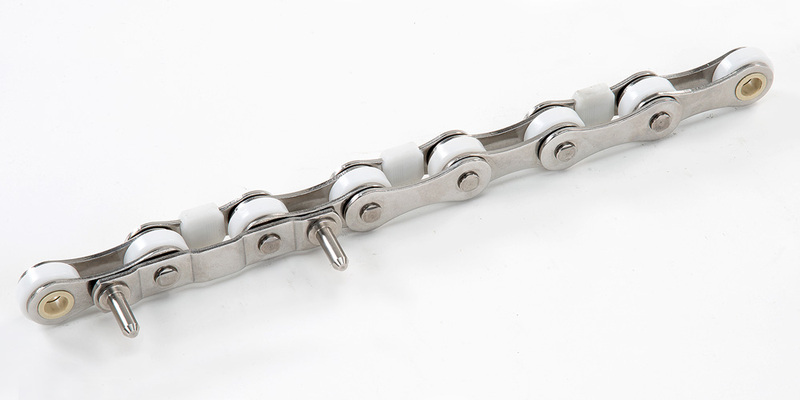 Freelubricant chains | maintenance free | special chains | Rosa Catene s.p.a. The Freelubricant chains used to transport the goods are special chains produced by Rosa Catene purposely for the food plants. 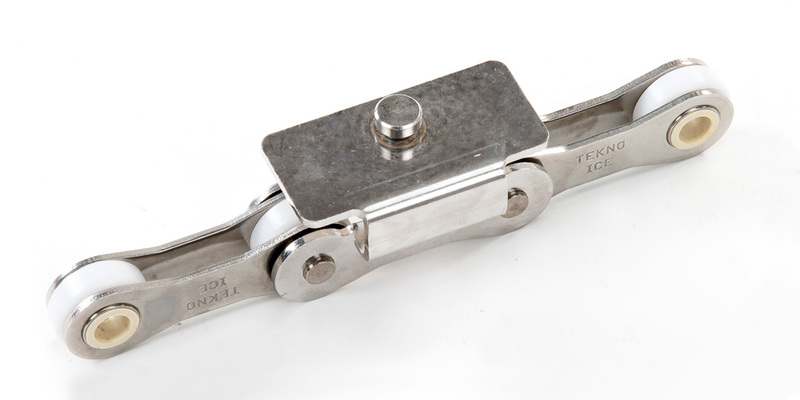 The freelubricant chain is characterized by the presence of a plastic component between the pin and the bush with the addition of lubricant elements in the very same plastic. 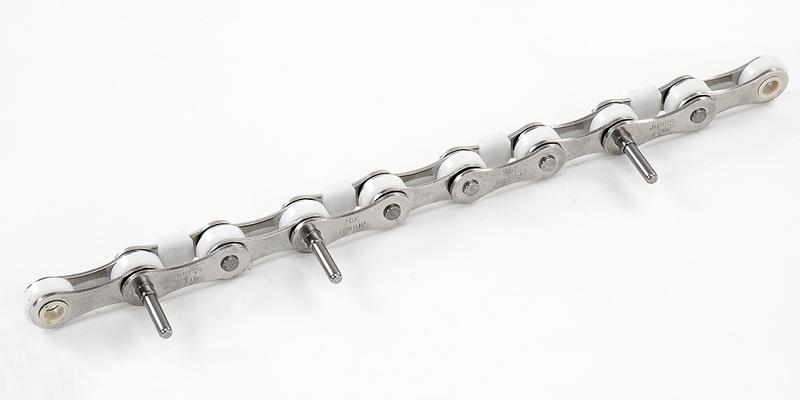 no problem of maintenance: the classical chain needs periodic maintenance which consists in the addition of a lubricant between the pin and the bushing , the two components of the chain in continuous friction between them. 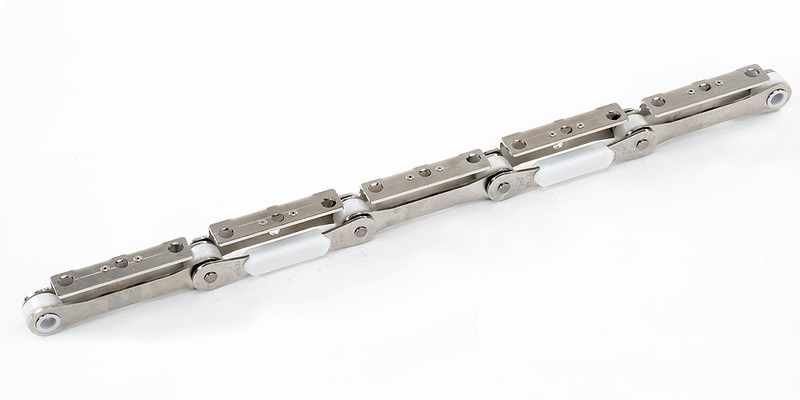 The Rosa Catene freelubricant chain, instead, inserting the plastic component between the pin and the bushing, protects them from wear acting as a “bearing” and reducing the friction , without the need of maintenance.